December 3, 2015 Update: Nominations are now closed. We’ll begin the voting round and announce finalists in the coming days. Woohoo! 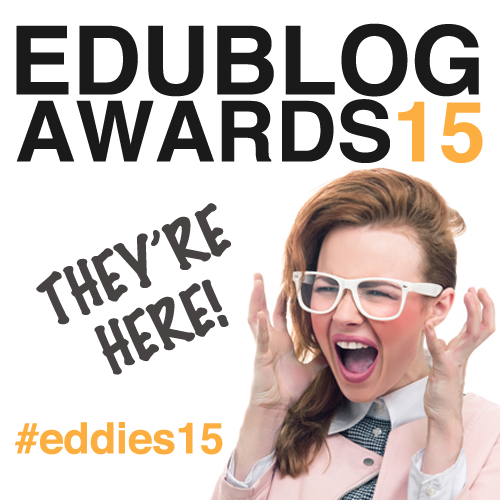 The 2015 Edublog Awards are a go for the TWELFTH year! Nominations – NOW through December 2nd. *Nominations will close at 11.59 PM EST USA on December 2nd. Nominating is easy – just complete this short nominations form! Let us know if you have any questions in the comments below or use the Contact form. @morayps is the my nomination for the best tweeter. I nominated best new blog, best class blog and best student blog. I choose best class blog, best individual blog, and best new blog. Wow!! Congrats to anyone who gets the award. Come on guys, you can do this!